Shawn Holden’s office filing cabinet is covered with pictures of her family. When you talk with her for any length of time, you’ll find out quickly that she’s an extremely proud mom. Twenty years ago, she was a proud mom in a tough spot. She was in a work training program called “Cleveland Works” which also operated a nearby Head Start center. So, she took her two youngest kids, then four and five years old, to enroll. She took a leap of faith, her young, energetic children by her side, and walked through the doors. Shawn was going through a lot in her personal life and she needed help. She said the staff was more than understanding about how her circumstances affected her kids. Those suggestions ended up helping Shawn more than she could have ever imagined. 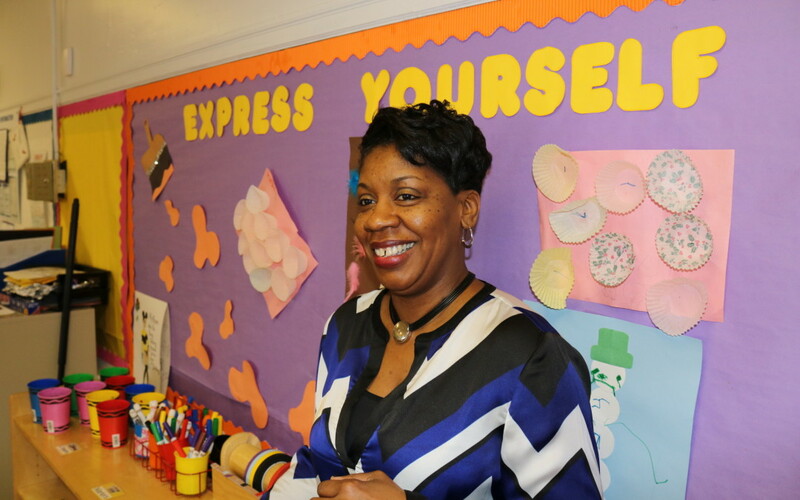 Not only did Head Start give her kids a safe environment, away from the stresses she faced in her personal life, but the staff helped Shawn realize she could do more. She said the Head Start staff taught her how to be a better parent by helping her to see her role as a mother differently. They offered her parenting strategies to foster her kids’ creativity and taught her that it’s okay for her kids to learn through play. Those recommendations made Shawn shift her mindset from blindly following the way she was raised, to tailoring her parenting to what worked best for her kids. Shawn said her kids thrived both socially and academically in Head Start. And, as a Head Start parent, she was invited to be as involved as she wanted to be in their schooling. She said that made her feel comfortable enough to remain involved in her kids’ classes and activities as they started public school. Today, Shawn is the Collaborative Program Manager at the Council for Economic Opportunities in Greater Cleveland. She’s also working on her doctorate in Early Childhood Education. She credits the Head Start staff and the program for her success and says she’s grateful for the opportunity to help other parents and their kids, too.